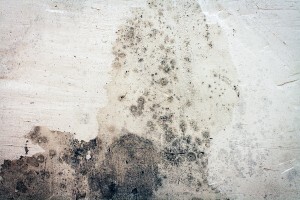 Abatement Solutions Inc. offers expert mold remediation and prevention services for residential and commercial customers throughout Atlanta, Georgia, and the surrounding communities. Having served realtors, developers, business owners, and homeowners, our Certified Mold Remediation Contractors have proven their ability to expertly resolve any type of mold contamination, big or small. Our team has gained a reputation for providing honest assessments of mold problems and performing meticulous mold remediation work that ensures any contamination is eliminated and won’t return again. In fact, we have such confidence in our mold remediation services that we guarantee an independent lab will confirm that your building is once again a safe environment after our work is done. Inspection – Our team can complete a thorough visual inspection of your home or business, identifying signs of a mold problem. If needed, we can arrange to have an indoor air quality sample tested by a third party, so you can get objective confirmation of whether you have a mold problem in your building. Water extraction – We’ll use equipment such as water extractors, dehumidifiers, and air movers to eliminate any standing water or high humidity that has allowed the mold to grow. Remediation – Our mold remediation team will quarantine the mold-impacted area using containment barriers. Then, they’ll treat the affected areas with EPA-registered cleaners and fungicides to make sure that the mold is dead and does not pose a threat your building’s occupants. Reconstruction ­– Severely damaged surfaces such as drywall may need to be removed from your building, and our team – or one of our trusted partners– can repair or replace surfaces as varied as framing, baseboards, and cabinets to return your building to its original condition. Once we’ve completed the mold remediation work and eliminated the mold problem, our team will apply a remarkable preventative coating to the affected areas so that mold won’t grow back, and we’ll back this protection with a 10-year warranty. Also, if you’re a builder or owner of a new residential or commercial property, we can help you safeguard your property against future mold growth by applying a product called FortiCel™ to key structural surfaces. This protection, which comes backed by a 25-year transferable warranty, will give you or a future buyer tremendous peace of mind knowing the structure is safe from toxic mold contaminations. Contact Abatement Solutions Inc. today to discuss how our expert Certified Mold Remediation Contractors can make your Atlanta, GA, home or business a healthy environment.